“Russia has suggested to NATO it could use its own airport near Ulyanovsk if Manas transit shipment centre is closed, Voice of America reported. ‘The Russian government plans to use the airport near Ulyanovsk as a transit point for NATO coalition troops in Afghanistan’, the statement said. ‘Moscow allowed NATO to supply coalition forces in Afghanistan through Russia by railway for three years. 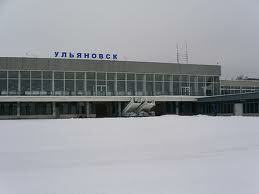 One of Russia’s airports in Ulyanovsk may be also be used to deliver military cargo’. According to the plan, military aircraft will fly out of Kabul, then over Central Asia to land 3000 kilometres away in Ulyanovsk. Russian Foreign Minister Sergei Lavrov told the Russian Duma members that the use of the airport by the NATO military is in Russia’s interest, as this will facilitate the orderly withdrawal of NATO troops from Afghanistan by December 2014 as was planned. The agency stressed that the Russian leadership’s decision was announced the day after the Kyrgyz authorities told U.S. Secretary of Defence Leon Panetta that they did not intend to prolong the lease term of the U.S. Air Force base Manas which expires in July 2014. Expert on security issues in Central Asia Joshua Kucera, working in Washington, thinks that this statement of the Kyrgyz leadership can simply mean that it is time to begin lease negotiations with the new president Almazbek Atambayev, Voice of America said. “NATO, Russia and the Central Asian’s countries have a number of common interests in the region, James Appathurai, NATO Secretary General’s Special Representative for the Caucasus and Central Asia told in an interview with atlantic-community.org. Appathurai said he would like to reject the opinion that the West and Russia are competing for influence in the Central Asia. “We have common interests in Central Asia. And I mean common with the Central Asian countries and NATO, and common between all three if we include Russia as well,” he said. First common interest is the stability in Afghanistan as vital for all that Afghanistan does not once again begin exporting terrorism, extremism, or continue exporting drugs, which of course hit all, Appathurai mentioned. “So we have an interest in stabilizing Afghanistan, shared by all of us. And the best way to do that is to cooperate,” he added. Appathurai added that NATO, Russia, and Central Asia for example train together their counter narcotic officials, particularly Central Asian, Afghan but also now Pakistani. Russia plays a very important role in this joint project with NATO allies, he said, and it works very well. The other NATO’s interest in the region is to help the Central Asian countries reach their full potential, including as transit areas for trade, as production and transit areas for energy and that is a mutual interest for everybody, Appathurai added. “The Central Asian countries are concerned that when 2014 arrives and the Alliance has a much smaller and different presence in Afghanistan, that they will be left with a problem or a growing problem of instability, and terrorism, and extremism, and drugs,” he mentioned. The NATO is committed for the long term to Afghanistan’s stability and committed not just rhetorically or politically, the alliance will have people on the ground doing work to help the Afghans stabilize their own country, Appathurai stressed.